Give your mom a homemade gift for Mother’s Day. It’s time to show your mom how much she means to you. Mother’s Day is right around the corner! Show your mom how much you appreciate her with a great gift. A homemade gift is the perfect way to show your mom you care. Check out these creative homemade gifts that your mom is sure to love. Flowers are always a great gesture for your mom. However, a bouquet only lasts a few days. Extend the life of your mom’s flowers and give her a potted plant. Whether you choose to use a terracotta pot, mason jar, or tin can, plant your mom’s favorite flowers in potting soil. Decorate the pot if you wish and voilà! You have a thoughtful gift for your mom. A cup of tea is a great way to unwind and relax. While you could buy tea from the store, put a personalized touch on the tea. Make you mom her very own Mother’s Day tea. Pick up some loose leaf tea along with small squares of cheesecloth (you may need to cut these), string, and customized tea tags. 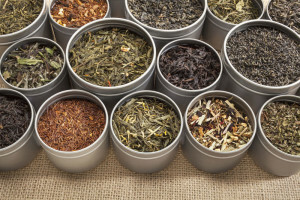 Mix and match your mom’s favorite tea flavors and put them on the cheese cloths. Gather the ends and tie the sachets with a string. On the other end of the string, glue on the tea tags. Let them dry and put them in a tin for your mom. Don’t underestimate the power of a picture frame. It’s a heartfelt, meaningful gift that your mom will cherish. Pick out a beautiful frame and print out a picture of you and your siblings. Give your mom the gift of peace of mind and invest in the right insurance. Contact the professionals at Robert J. Los Insurance Agency to find you the right policies. Located in Hamburg, New York, we serve all your personal and commercial insurance needs.